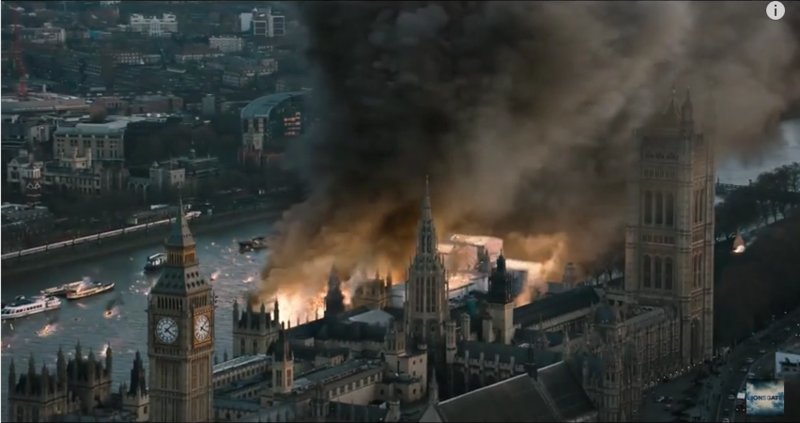 We’ve chronicled the downs-and-ups-and-downs-again of London Has Fallen, the sequel to the second-best White-House-under-siege movie of 2013: Just six weeks before shooting began, the film lost its first director, Fredrik Bond, over “creative differences,” setting off speculation that the rushed production schedule may have overwhelmed the relatively unseasoned director. It then gained a new helmer in Babak Najafi, a Swede who previously led nü-Robocop Joel Kinnaman through Easy Money: Hard To Kill, an import our own Chris Klimek hailed for its unrelenting intensity and undeniable brio. The film was all set to open in October of this year, with Gerard Butler returning as John McClane-esque Secret Service agent Cage Hardjaw (sorry, Mike Banning), and Aaron Eckhart also coming back as pugilistic U.S. President Benjamin Asher, despite the overseas milieu. Then came some tough news for the film’s (theoretical) fans: Gramercy Pictures, rightly concerned about competition from Ridley Scott’s The Martian and Robert Zemeckis’ The Walk, bumped the film from October to January of next year. Is this a case of a studio unloading its mistakes to the traditional early-year dumping ground, or a savvy bid to own an open weekend (which may account for Olympus Has Fallen’s inexplicable success)? 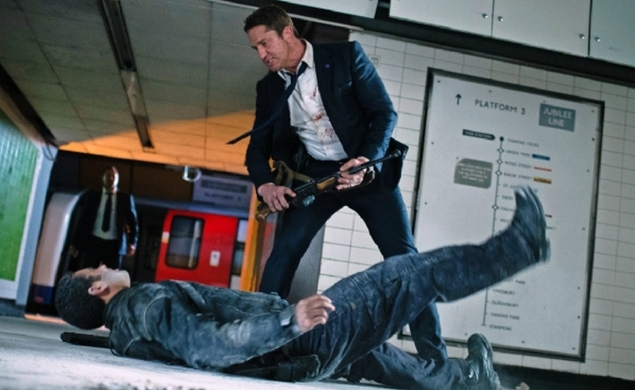 The teaser doesn’t offer much—it being a teaser and all—but we’re going to try to be optimistic here, despite the troubled production history, the bump to a dumping-ground release date, the smug anti-charisma of Gerard Butler, and the fact that Olympus Has Fallen isn’t exactly an action standard-bearer. So let’s accentuate the positive here: The supporting cast (Freeman, Bassett, Forster, Leo, Mitchell, Haley) is outstanding, Najafi proved his action bonafides to our satisfaction with Easy Money: Hard To Kill, and the idea of presidents and prime ministers dashing from terrorist bullets and explosions is fundamentally appealing. It’s also high time that landmarks from cities outside the U.S. take a little beating, too. Somewhere below the mayhem, we can imagine Clark Griswald still driving around that traffic circle, saying “Big Ben, Parliament,” this time with tears rolling down his cheeks.